Forend Size (mm): 57L x 25W. 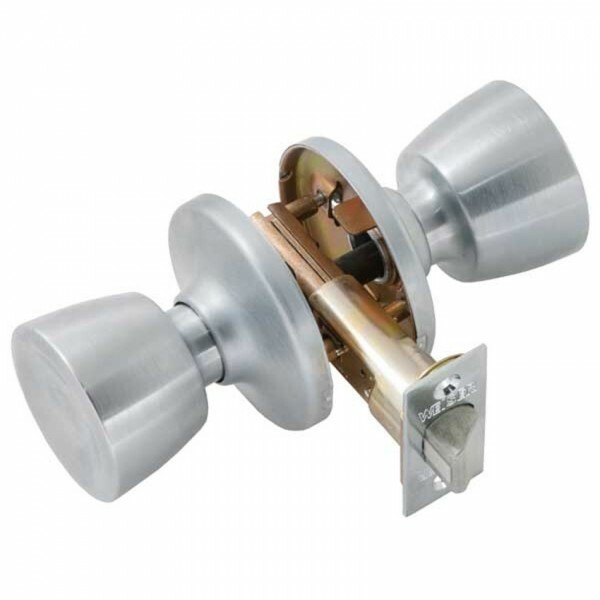 Weiser Beverly GAC101 Passage locks suitable for internal doors as it is a non-locking knob set, it allows free access at all times. Reversible latchbolt is withdrawn by knob from either side. Both knobs always free. Supplied with plain latch. Adjustable backset, 60mm or 70mm. Suitable for door thickness 35mm - 45mm.